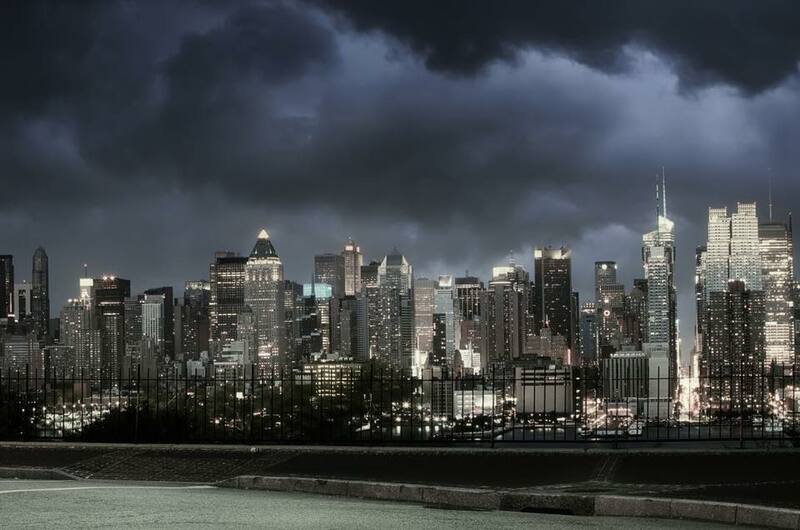 New York, New York , May 31, 2018 (Newswire.com) – ​​The top tech and healthcare PR firm, MACIAS PR, celebrates 9 years of growth in the competitive NYC public relations market. During this time, MACIAS PR has grown from a small cubicle with no clients into an award-winning strategic PR and digital marketing firm that works with clients in healthcare, finance, tech and the nonprofit sectors. 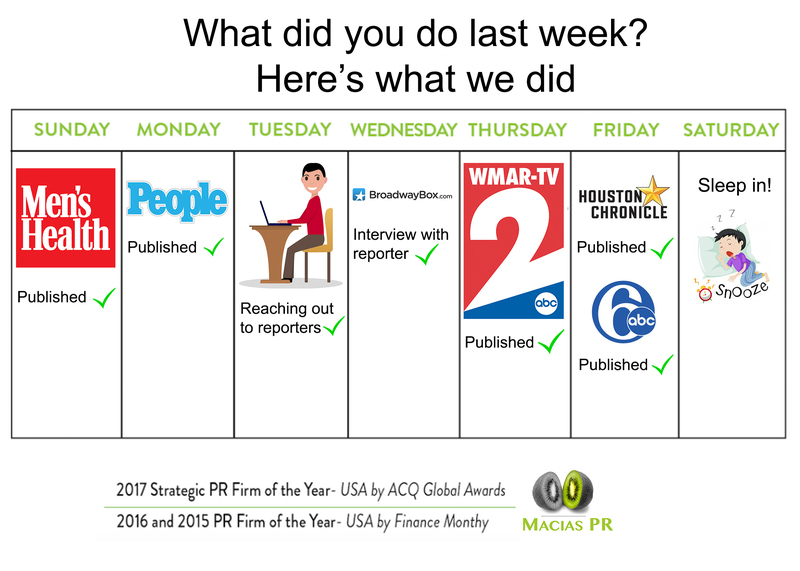 Marketing peers also named MACIAS PR the 2017 “Strategic PR Firm of the Year,” honoring it with the ACQ5 Global Awards. The award is based on the firm’s media and marketing strategy. Our Client is in People Magazine – How did we do it? 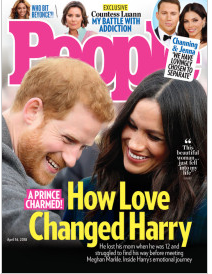 People Magazine is one of the most influential magazines in the USA. When you’re in the grocery store, you can’t help but pick up the publication and skim the stories on your favorite celebrities. Earlier this month, our digital health client was in the magazine under their “We Tried It” section. I actually got the idea of reaching out to the “We Tried It” editor after reading a magazine at my mother-in-law’s house. She’s subscribed to the magazine and as timing would have it, I saw a section that was perfect for my client. Remember the age of 9? It was so much fun to celebrate your birthday. You wanted the world to know that you were on the cusp of reaching greatness. 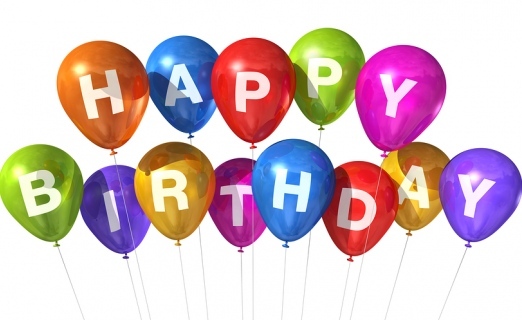 Next month, MACIAS PR will be celebrating 9 years of being in business. Personally, I’m so excited about this anniversary that I can’t even wait until June to announce it. I have to write about it today – a full two weeks and 3 days before the official anniversary. It’s never fun getting a year older after the age of 30. I don’t even like celebrating my birthday anymore. But for my PR firm, I want to bring out the blow horns and balloons that announce we hit 9 years of being in business. It’s a long way from that lonely, small cubicle on 38th Street and Broadway where I launched this PR firm. I just finished reading a book by PT Barnum on business. The Art of Money Getting provides many lessons on life, business, values and money. It also provides some strategy on PR. 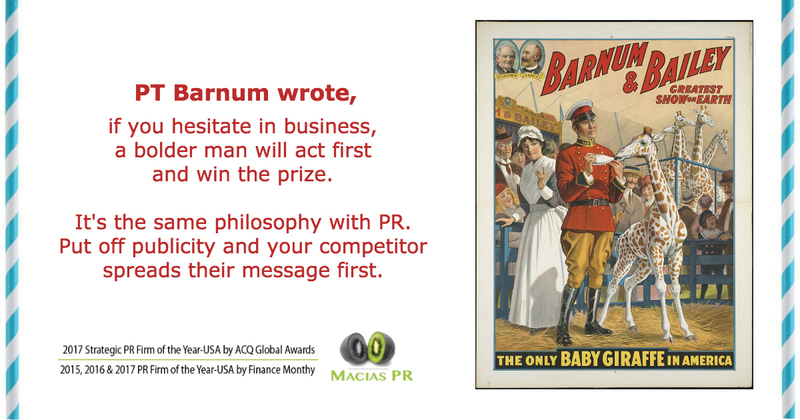 PT Barnum was a master showman at publicity. He created the “Greatest Show on Earth – Barnum & Bailey Circus. He was also a successful entrepreneur who knew publicity better than anyone. At some point in his life, every man will pick up Men’s Health Magazine. It’s one of the biggest publications in the US and the largest men’s magazine on newsstands. The publication speaks to men from all generations. 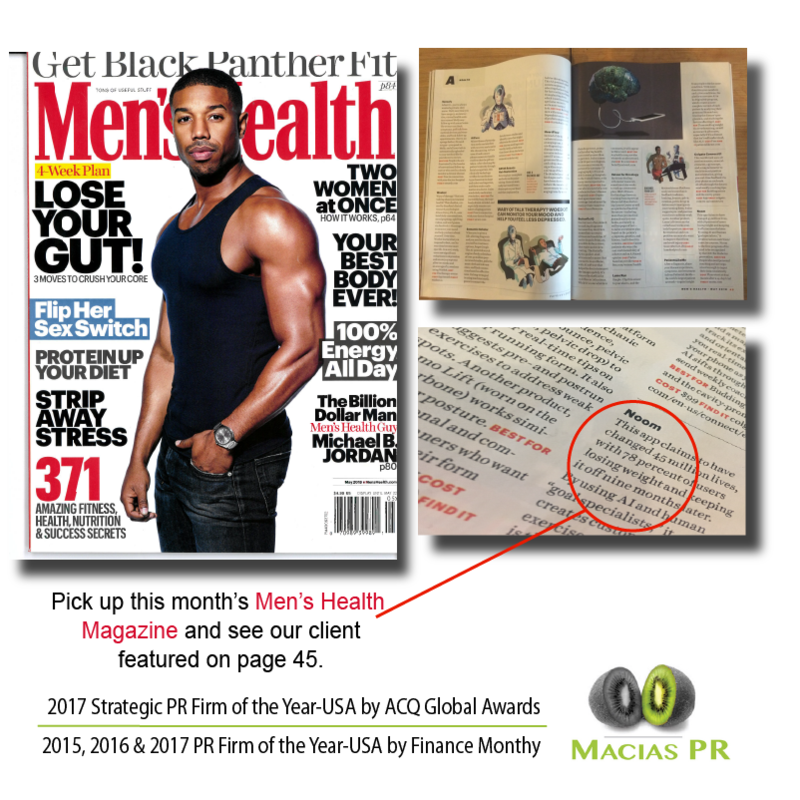 MACIAS PR is excited to say that our digital health client is on page 45 of this month’s issue of Men’s Health Magazine. Getting a story in any magazine is much harder today than in previous years. The number of magazines keeps shrinking and that means the supply for stories is also dwindling. Ten years ago, there were dozens of men’s magazines on newsstands. If one writer didn’t pick up your story, you moved onto the next. It’s not like that today. The supply for media placements gets smaller while the demand for publicity keeps growing.